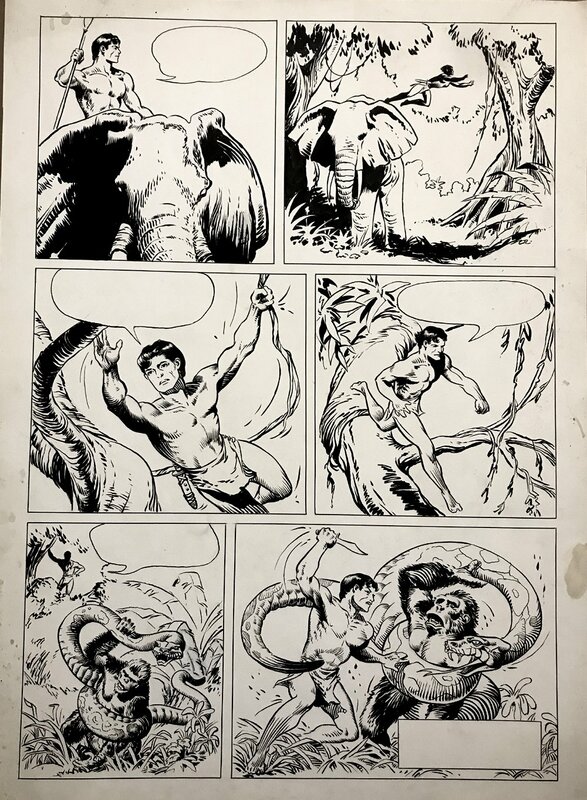 Check out this incredibly large, incredibly DETAILED / HISTORIC piece of Tarzan art, which was penciled and inked by the great RUSS MANNING! This art was drawn in the early 1950s! This huge piece is all drawn on art board measuring 18.25 by 23 inches! The art board does have minor marks and scuffing but the art overall is magnificent! Just a great rare EARLY RUSS MANNING find here! ALL art on our website (including this one) are able to be purchased with VERY fair time payments, and trades are always considered towards "ANY" art on our website! Just send us an email to mikeburkey@aol.com and we can try to work something out.